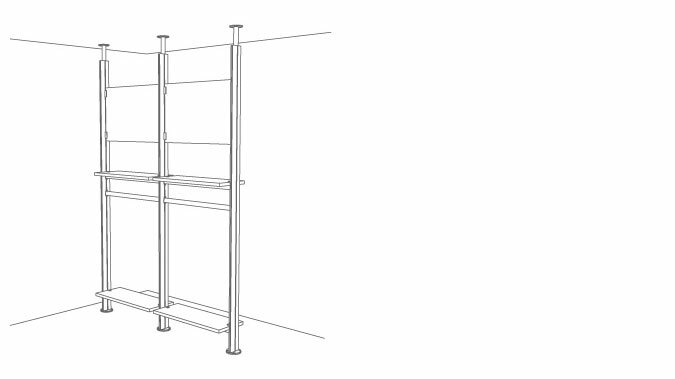 3form Versa allows designers to create stationary or mobile walls and partitions using freestanding or pressure-fit solutions. 3form Versa is the perfect answer to mobile and moveable translucent partitions. 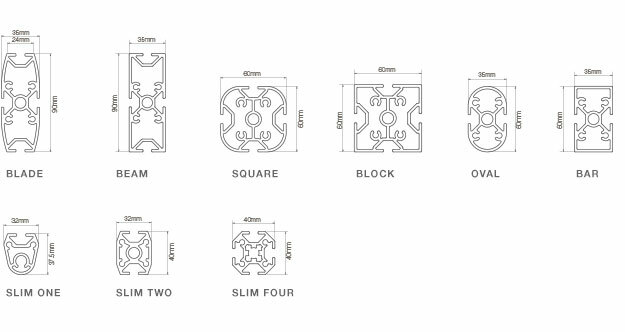 This 3form architectural hardware system offers refined aluminum extrusion to create free standing or pressure fit translucent walls and partitions. 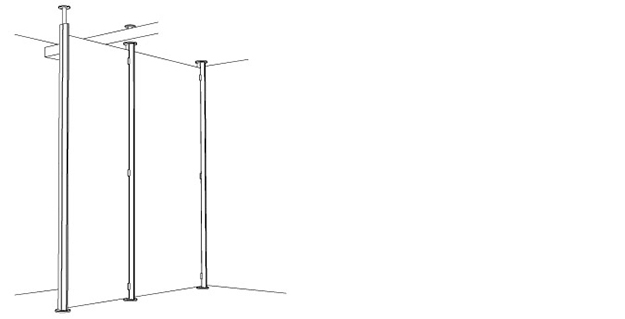 With these two options and a variety of mounting hardware, it easily adapts to your environment. 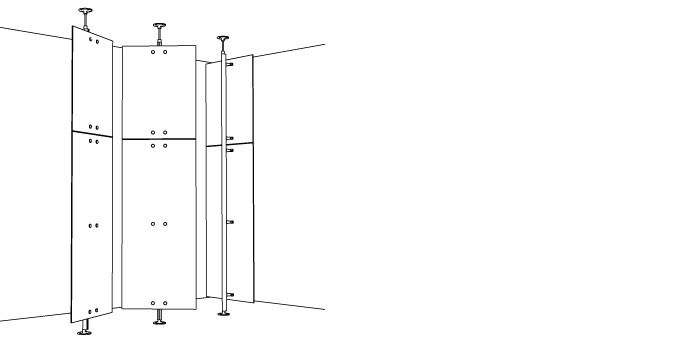 As the foundation of the Versa system, multiple profiles are available for both installation versatility and aesthetic preference. Material is supported in all Versa applications using either Spiders with through holes or Brackets with pressure-fit set screws. 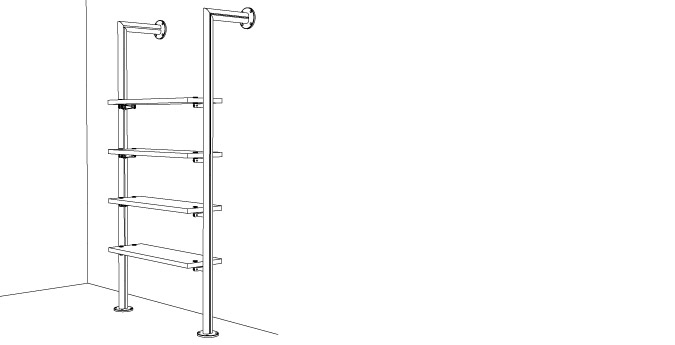 Many different options are available depending on the installation requirements and preferences. Example Solutions on the following pages will highlight these various capabilities and recommended material types and gauges for each solution. 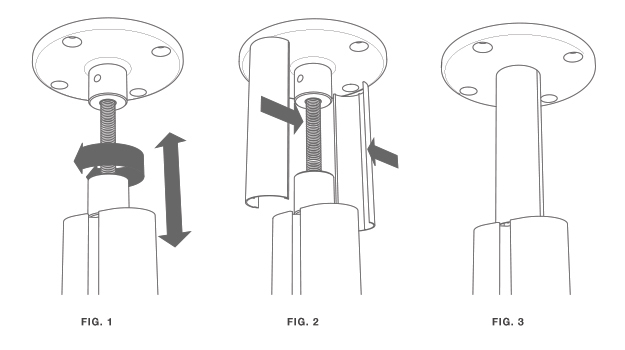 The top pressure fit assembly is an integral part of most Versa Installations (fig.1). It is composed of an adjustable top plate, a threaded rod, and a barrel nut. Once the top and bottom plates are in place and secure, threading the barrel nut against the Versa Profile extends the top plate firmly against the ceiling. 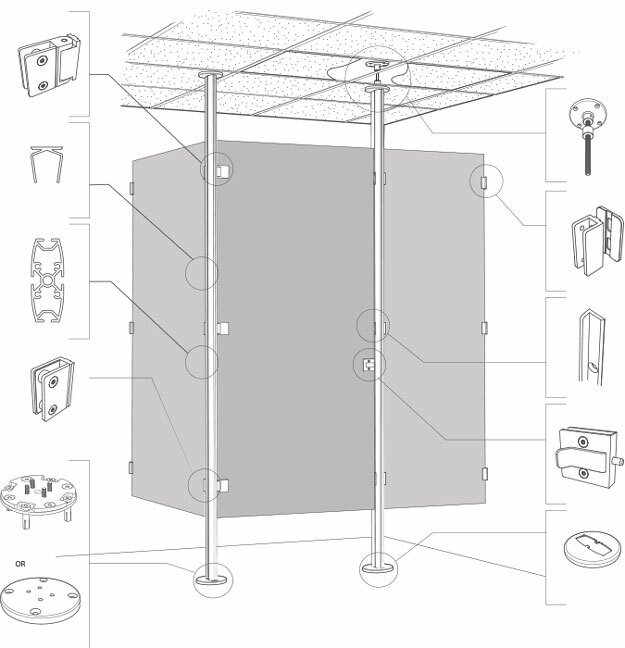 The top adjustable plate can be attached to the ceiling with screws or can simply be secured with pressure using the barrel nut (fig. 2 & 3). The maximum extension of the threaded rod should be 6", please account for this when determining the profile lengths. 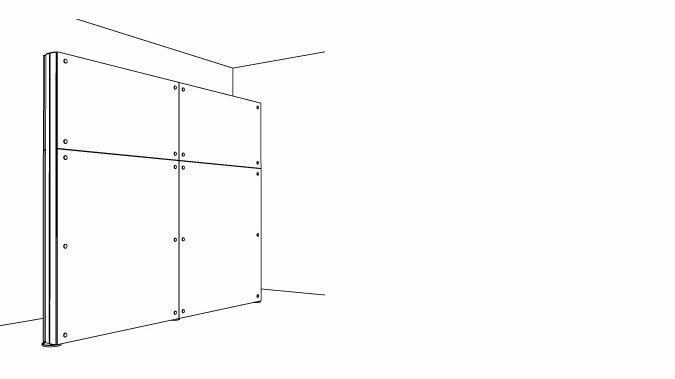 Pressure fit for use as temporary translucent walls and complete space divisions in interior environments. 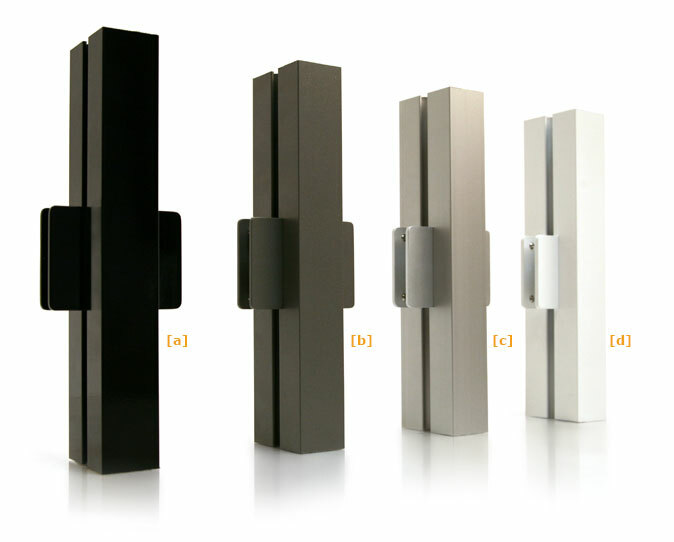 Free-standing translucent panel hardware for use as privacy elements in a variety of settings. 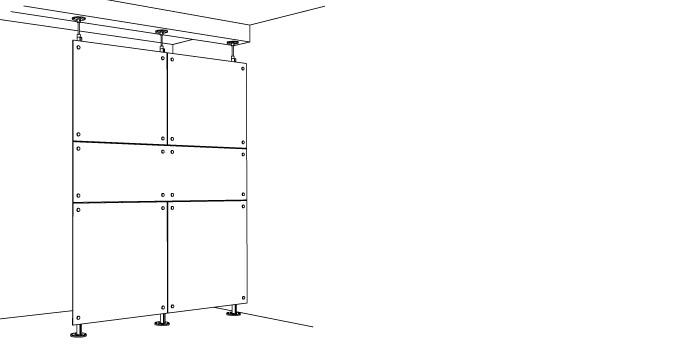 3form Hardware introduces Versa Hinged Door option. 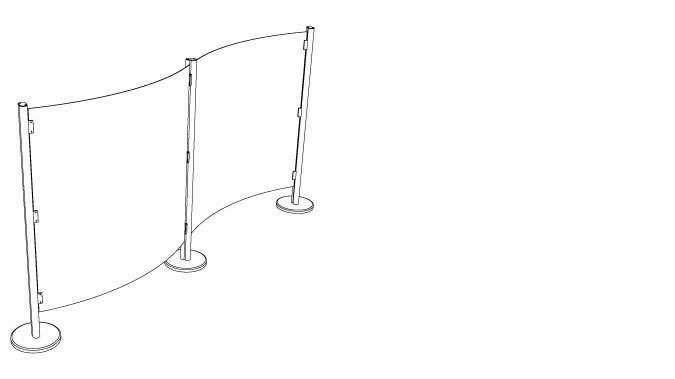 With the optional free standing base, this Versa solution can create completely free-standing translucent panel applications, serving as a movable partition or divider. When used with flexible Varia Ecoresin panels (3 mm or 1/8" gauge), the weight of the base can be used to compress the panel creating an undulation. Create glowing translucent shelving with 3form Versa hardware.